Cashless transactions will allow Hawaii’s medical cannabis market to become safer and more transparent, and an easier time for patients. It’s no secret that Hawaii has struggled to produce the necessary funding to properly run the state’s medical cannabis program. Despite being among the first to legalize, interference at the state and federal levels has left patients living on the chain of islands with very few options for obtaining the medication. Today, two powerhouse companies of the cannabis world announced their approved plan to provide the financial structure Hawaii is so desperately lacking, raising the medical program to a much higher standard. States that carry medical cannabis programs often struggle with getting their market off the ground, thanks in large part to traditional banking methods. While cannabis might be legal at the state level, federally it remains a Schedule One drug. As most banks are federally-insured, they’re unable to create accounts for companies the federal government says are illegal. This creates a unique barrier for cannabis businesses who need resources to begin operations. Since legalizing medical cannabis in 2000, Hawaii has struggled to keep the program functional. Being so far removed from the rest of the country creates extra hardships for the state and even greater expenses for producing and manufacturing cannabis. Until 2015, when dispensaries were finally legalized, the islands’ 18,000 patients were expected to produce their own cannabis, in an attempt to keep the program controlled and costs low. As dispensaries begin to appear across the state, new challenges are presenting, like establishing bank accounts and cashless payment systems. The ability to use credit and debit cards is important for the convenience and safety of dispensary employees and customers. It also ensures a smoother process for owners and manufacturers. Today, Safe Harbor Private Banking, the leading compliant banking program for cannabis businesses, and CanPay, the cannabis industry’s most reliable debit-payment program, announced a merger that will solve all of Hawaii’s problems. For the first time in history, law makers, banks and cannabis licensees came together to form a state-wide program to provide dispensaries with access to cashless transactions that are safe, secure and reliable. 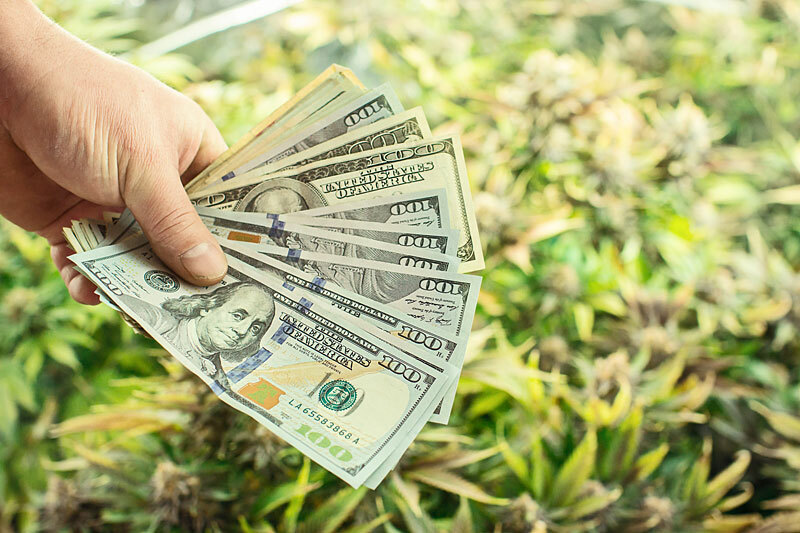 Sundie Seefried, CEO of Safe Harbor Private Banking, says the groundbreaking program ensures cannabis businesses the proper payment structure they require to maintain the necessary information. Before today, there was zero access to banking for cannabis businesses in Hawaii which creates an unsafe and unstable market. We have partnered with CanPay and worked closely with Hawaii’s officials, regulators, cannabis business owners, and the Hawaiian Educational Association for Therapeutic Healthcare to ensure legal cannabis businesses here are securely and adequately banked. Cashless transactions are an important detail for cannabis companies. Credit and debit cards provide a history of funds for record keeping purposes, necessary to prove legitimate sales and distribution. Dustin Eide, CEO of CanPay, explains how the new program will improve daily operations for dispensaries. Removing cash from the equation leads to a more transparent and legitimate way to do business that’s both convenient and secure for all involved. Through the lengthy collaboration between ourselves, Safe Harbor, and the tremendous individuals in Hawaii’s legal cannabis market, these dispensaries are now able to operate as closely as possible to businesses in any other industry.